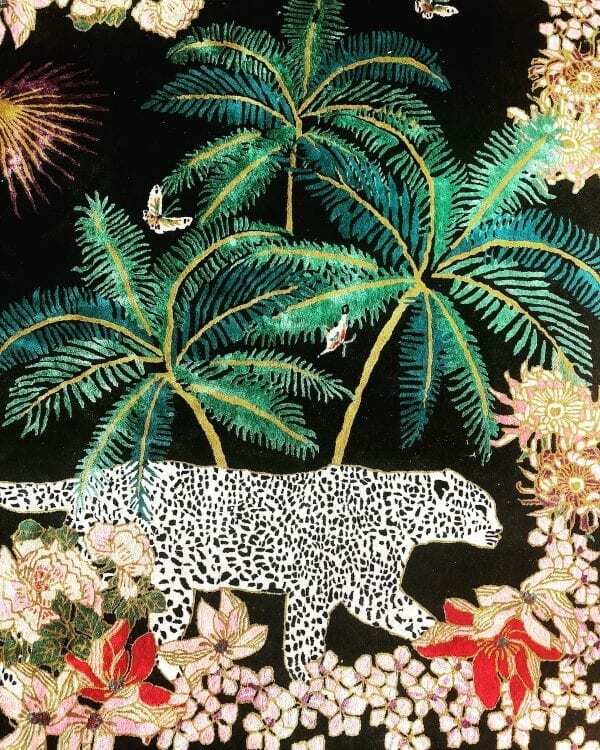 Inspired by the work of the wonderful Tony Duquette and his flamboyant film set interiors, this rug is composed of Leopards and Palm Trees, bordered by a sprinkling of Orchids, Lotus Flowers and Chrysanths. The dark wool base provides the perfect back drop to the shimmering viscose detail. Instagram is the best place to find out what Wendy’s up to. You’ll be one of the first to see Wendy’s rugs styled to the max by some of Instagram’s very talented stylists. Come join the conversation! We’d love to have you there.